I picked all the tomatoes that seemed to have taken all summer to ripen. Some had turned red, but as the forecast was for colder temperatures I decided it was better to pick all of them still green. All those cardboard egg boxes I’d been saving all summer were pressed into use. I had quite a few red tomatoes and since we were going away for a long weekend, I thought I had better do something about them when we got back. 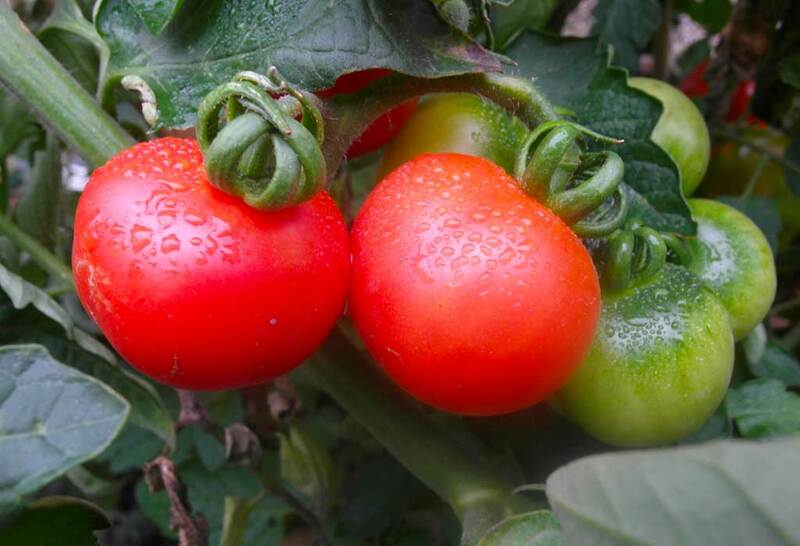 So, what do you do with a load of tomatoes? Chutney! I found a recipe that needed 1kg of ripe tomatoes. I weighed out what I had and amazingly I had a good 1kg of mixed plum and round tomatoes. The recipe needed chopped tomatoes, onions and apples. So having roughly cut them into quarters, I pressed the food processor into use. All tipped into the large stockpot pan. Added brown sugar, garlic, mustard seeds, cloves and grated fresh ginger and raisins. All brought to the boil, red wine vinegar added. Smelled quite lovely. I found that our local Homebase was selling off Kilner jars, so bought the remaining 5 small (250g) jars, thinking that it wouldn’t make that much chutney! These were £1.29 instead of £1.99. Pity there were only five left. I washed and also sterilized them in the dishwasher and put the lids into very hot water towards the end of the cooking period. I spooned in the chutney (it made more than five jars, so fortunately I had also dug out some small used jam jars and put them in the dishwasher also, just in case. I cleaned the lip and sides of the jars and put on the kilner lid and screwed on the tops. 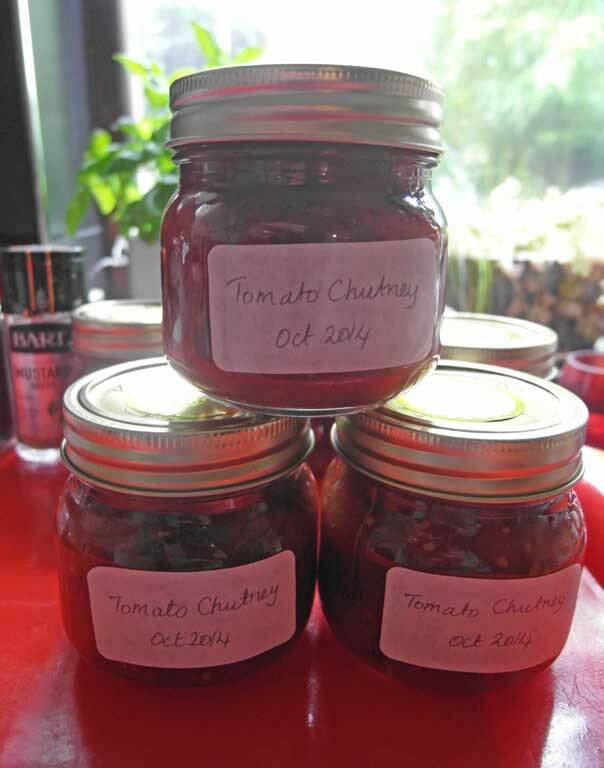 As the chutney cooled down I could hear the lids ‘ping’ from domes to flat as the vacuum inside the jars sealed the chutney. So far, so good. Now have to wait at least a month for the flavours to develop and the chutney should keep for six months, a month in the fridge once opened. Just in time for Christmas. 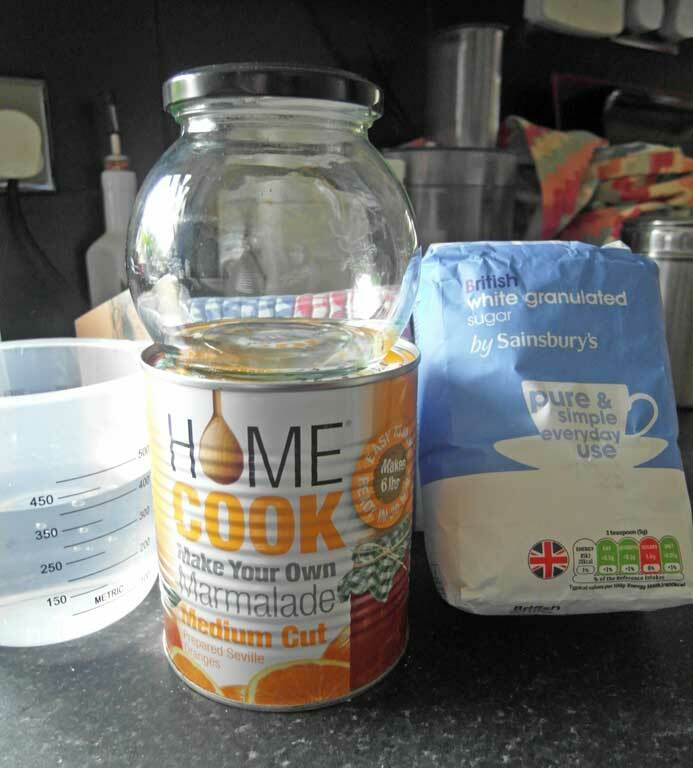 So, today I decided to have a go at making orange marmalade, mainly due to making a trip to Lakeland to get some labels for the jars. 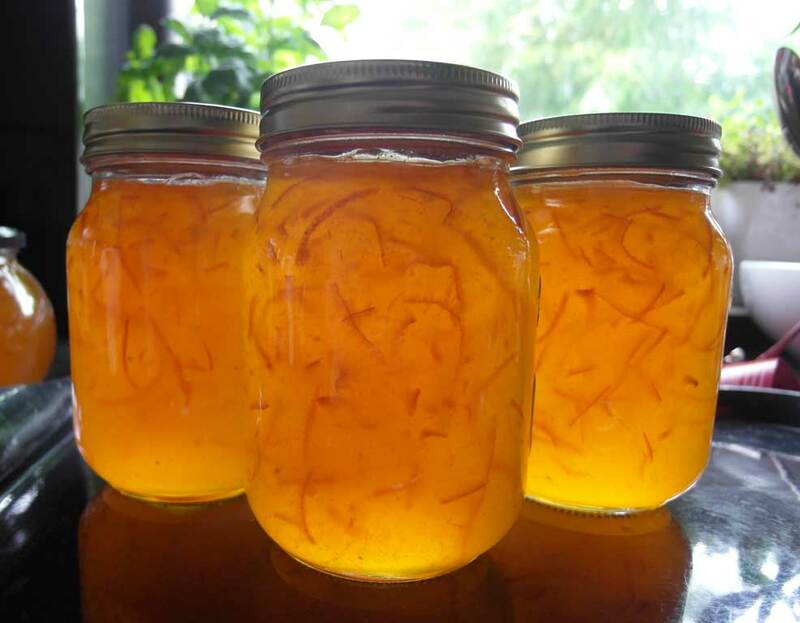 I saw the tins of marmalade pulp on sale and, being in the mood, bought one, supposedly to make 6 jars. 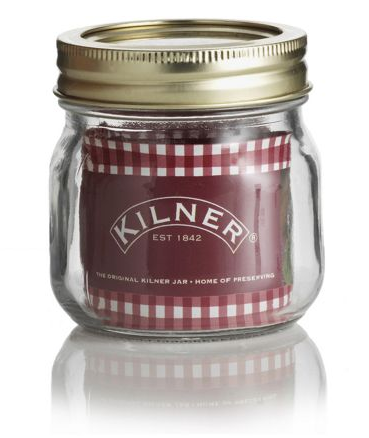 Stopped off for some sugar on the way home, and called into Homebase again to see if they had any more kilner jars. Found the last 3-pack of 500g jars for £4.99. Once home, pressed the stockpot pan into use again. Opened the can of pulp and put that in the pan with the sugar and a measured amount of water. That’s all! As the mixture heated and I was stirring, I got out my cooking thermometer and clipped it to the pan. As the sugar dissolved and the mixture came to the boil I put the new kilner jars and a few 1lb jam jars into the dishwasher. After a lengthy time stirring the mix and then letting it boil until it reached setting point (I checked the thermometer during the process) and I put in a knob of butter to dissipate the foam that builds up. I did the set test with a teaspoon of mix onto a cold saucer to see if it ‘wrinkled’. So far so good. Jam jars hot and out of the dishwasher. Filled with a jug of hot marmelade. It made just five jars, not six. Put waxed discs on top of the liquid screwed on the lids and let them cool down. A lovely rich golden color with shreds of peel inside. They look lovely. At least the grotty wet and cold weather has made me do something useful indoors!